Data center usage can change quickly. IT infrastructure requirements often grow even faster than the expanding business they support. Because of this, data center designs seldom meet the operational and capacity requirements of their initial design. Data centers must be designed for flexibility and scalability. A robust design is an absolute necessity and should include site location, building selection, floor layout, electrical system design, mechanical design, and modularity. Of these, the electrical system stands out as the core system that facilitates successful data center design. As an industry leader in the engineering and manufacturing of intelligent power generation solutions, Fibrebond’s integrated electrical products and services are individually tailored to meet and exceed the power needs of your data centers. Combined with its 30 years of experience in top-of-the-line equipment shelters, Fibrebond’s data center solutions are unrivaled. “The electrical products we produce are typically skids or enclosures constructed in a manufacturing environment, and feature a variety of power distribution equipment that is installed and tested before being delivered to a job site,” says Cook. There are numerous benefits that come with the Fibrebond name. It all starts with dedicated and experienced project management teams, who are keenly focused on understanding customer needs to deliver a fully optimized solution. Once 3D Solidworks models have been created to detail the data center design, Fibrebond’s manufacturing team steps in. With a facility of over 500,000 square feet on 180 acres, Fibrebond has the capacity to produce projects on any scale. Beyond manufacturing, the facility has the capability for superior and extensive testing to ensure product performance. Furthermore, the Fibrebond team can coordinate the transport and of your equipment to our site, where it will be secure, insured, and climate controlled during the data center manufacturing process. Whether your data center is steel, concrete, or a hybrid design, Fibrebond’s manufacturing process performs documented quality checks every step of the way. Also, prefabrication dramatically reduces cost and ease of completion in comparison to on-site construction. With Fibrebond, you rest assured that the structure and electrical system of your data center are of the highest quality and reliability. 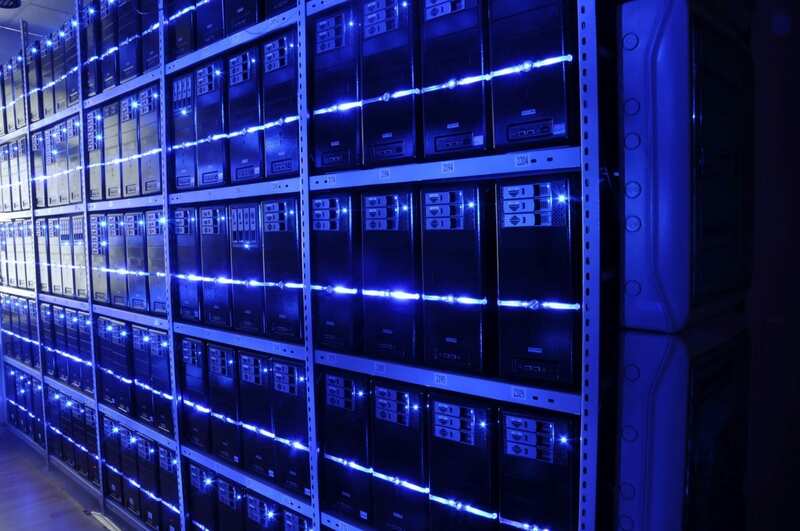 Data centers are the brain of your business. They conduct the critical processes that keep your IT systems running smoothly. To ensure reliability, data centers must have robust electrical systems properly designed with adequate capacity. Fibrebond stands unmatched in the engineering and manufacturing of high quality electrical systems customized to optimize the performance, scalability and reliability of your data centers as well as the integrated structures to protect them. Ready to learn more about our operations? Visit us online at Fibrebond.com or contact Chase Cook at Fibrebond with your project details to get started!